SHIELD Season 4 Finale Trailer and Photos! 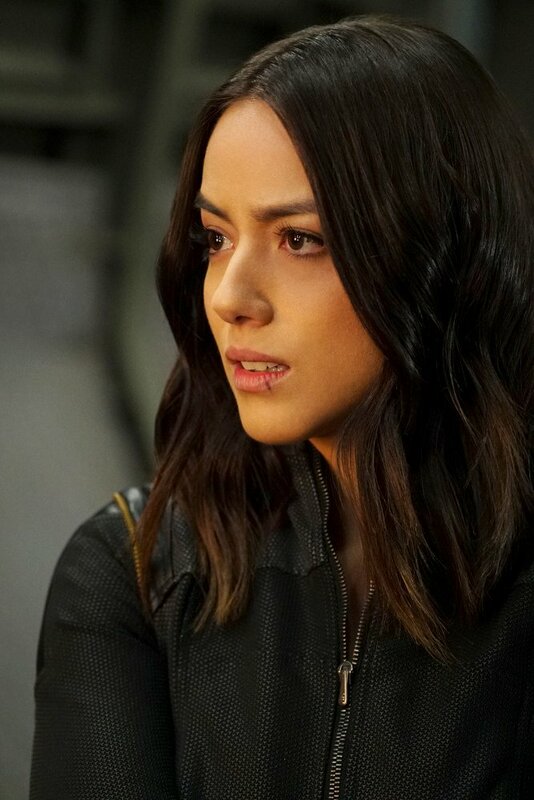 Agents of SHIELD Season 4 Finale Trailer and Photos! ABC and Marvel Entertainment have released the official trailer and photos for the Marvel’s Agents of SHIELD Season 4 finale! The series has yet to be officially renewed for a fifth season for the fall; however, Deadline reports that a renewal is likely. Check back here for more news on the show’s potential return and watch the trailer below! 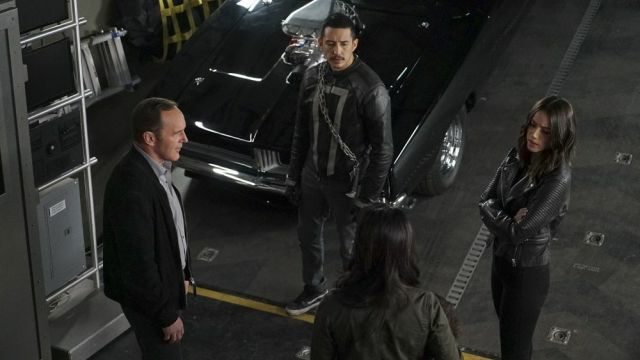 Marvel’s Agents of SHIELD stars Clark Gregg as Agent Phil Coulson, Ming-Na Wen as Agent Melinda May, Chloe Bennet as Daisy Johnson, Iain De Caestecker as Agent Leo Fitz, Elizabeth Henstridge as Agent Jemma Simmons, Henry Simmons as Agent Alphonso “Mack” MacKenzie and John Hannah as Holden Radcliffe. Guest starring are Natalia Cordova-Buckley as Elena “Yo-Yo” Rodriguez, Gabriel Luna as Robbie Reyes/Ghost Rider, Mallory Jansen as Aida, Adrian Pasdar as Brigadier General Glenn Talbot, Jordan Rivera as Hope Mackenzie, Patrick Cavanaugh as Burrows, Zach McGowan as The Superior, Joris Jarsky as Sergei, Zibby Allen as Lt. Evans, Joel Stoffer as silhouetted man and Karole Foreman as waitress. “World’s End” was written by Jeffrey Bell and directed by Billy Gierhart.